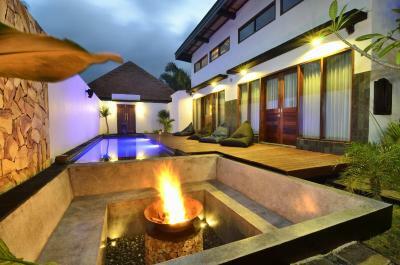 Lock in a great price for Kies Villas Lombok - rated 8.8 by recent guests. Lovely villa with spacious living area. Breakfast was good and location was close to central Kuta. It's a fantastic place to stay. We stayed in the Bungalows and they were fantastic so much room. They were very clean. The staff are very friendly and helpful. The food and drinks at the hotel were really cheap and the breakfast amazing. Highly recommended. amazing food! amazing room! amazing pool! amazing staff! easy to rent moto and get transfer from airport. we'll came back! Great menus, even for snack. Staff,starting with Courtney, are all friendly and helpful. Thanks to Sulman,who drove us around Lombok a couple of times recently. We liked everything the attentive friendly staff, the food, the location. Thanks to Sulman and his team who also arranged our ongoing flights and who sorted our other requirements during our stay. We had a nice stay. The swimming pool is very nice. The staff is friendly and the room very spacious and clean. One day we were sick and the staff was very nice, preparing food for us that was not on the menu (nice vegetables soup). Rent a scooter here if you need! 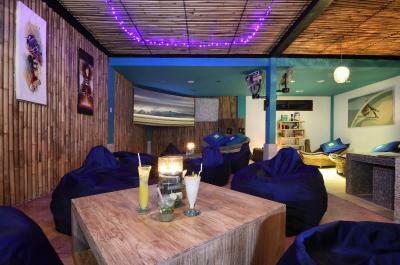 Maybe this is the best option in Kuta for getting what you pay for. Great pool and breakfast. Large and clean rooms. Great location, breakfast was good, the place looked great and the pool area was fantastic! Bed super comfy and staff fantastic! Sulman was one of the guys who worked there, was a great help when we were organising things to do and even let us rent his car for a day for a reasonable price, all round great stay! Offering outdoor pool with an underwater music system, Kies Villas Lombok is located in the beautful Kuta area in Lombok. Free WiFi access is available in this holiday park. 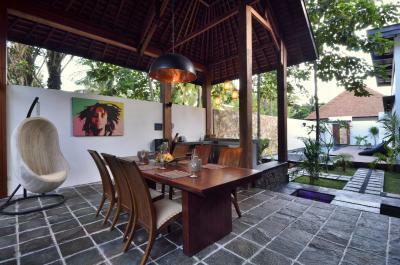 The property is only 5-minute walk away from Kuta's main street and about 2-minute drive to the amazing Kuta Beach. 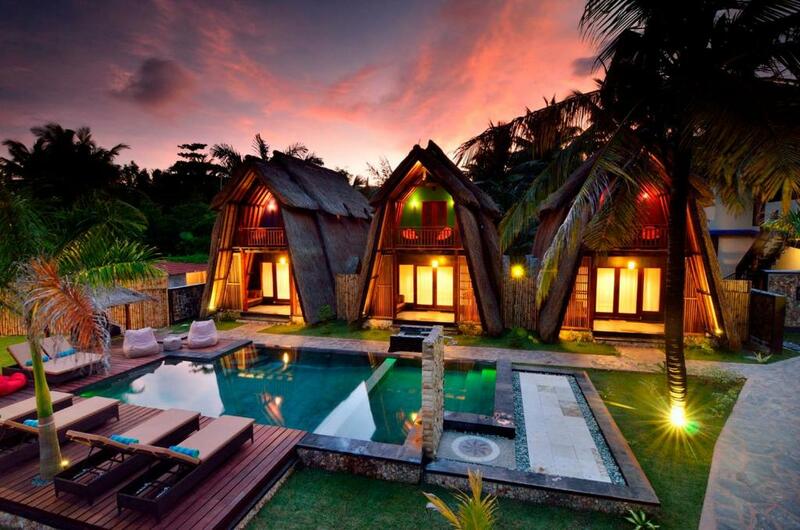 Lombok International Airport is about 25-minute drive from Kies Villas Lombok. 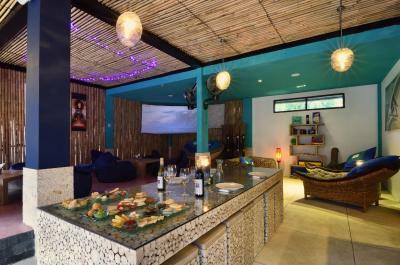 The accommodation at this property will provide you with air conditioning and flat screen TV with satellite channels. Each bedroom features an en suite bathroom which comes with free toiletries and bathrobe. You can enjoy a pool and garden views from all the rooms. Other room facilities include safety deposit box and terrace with seating area. Other facilities offered at the property include a ticket service and a tour desk where they will help guests with travel arrangements. 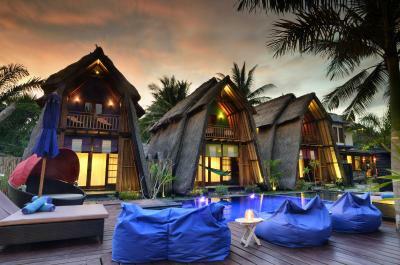 Activities like fishing, snorkeling, diving and massage can also be arranged at an additional cost. The property also offers free parking. 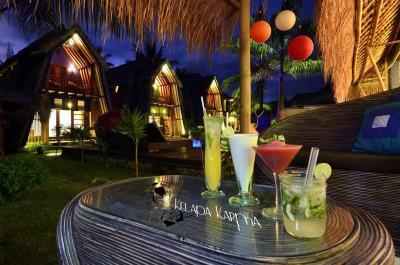 For dining option, the on-site Kelapa Karma Restaurant is open for breakfast, lunch and great meals as well as amazing cocktails. Guests can also opt to enjoy their meal by the pool during opening hours. 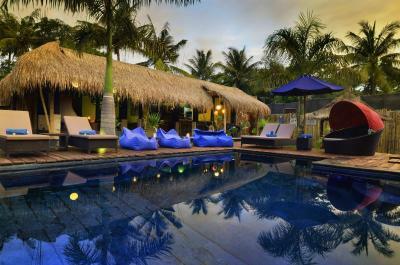 Kies Villas Lombok has been welcoming Booking.com guests since 14 Apr 2014. 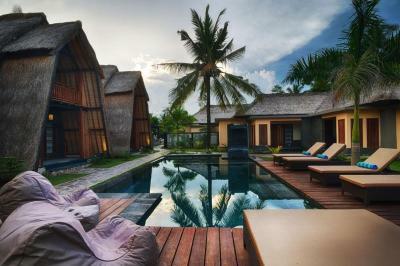 When would you like to stay at Kies Villas Lombok? Offering a spacious area, this luxurious villa features an outdoor lounge area overlooking a pool. 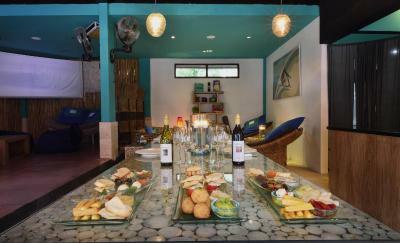 The villa also features a dining area with barbecue facility and each bedroom comes with air-conditioning.and an en suite bathroom with bath and shower facilities. Hairdryer is available upon request. Please note that 1 extra bed is available for this room, and WiFi is available through the a mini router provided by the property. This bungalow features a traditional design with an air-conditioned bedroom and tiled/marbled floor which also comes with an en suite bathroom offering free toiletries. A satellite TV is available and a terrace with seating area is also available for you to enjoy. Hairdryer is available upon request. Guests can enjoy free WiFi access. 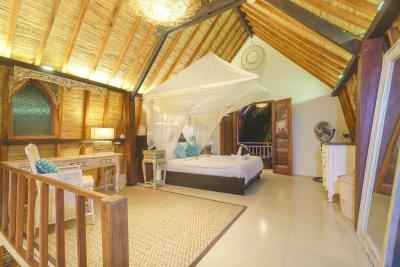 This bungalow can accommodate up to 3 persons with the third guest using the sofabed. However please note that 1 extra bed is available for this room. This double room with a pool view features a queen size bed and an en suite bathroom which comes with a rainforest shower, air conditioning and a flat screen satellite TV. A safety deposit box and free tea/coffee making facility are also available. Hairdryer is available upon request. Guests can enjoy free WiFi access. This twin room with a pool view features wooden floor and an en suite bathroom which comes with a rainforest shower, air conditioning and a flat screen satellite TV. A safety deposit box and free tea/coffee making facility are also available. Hairdryer is available upon request. Suitable for up to 2 guests or 3 guests with 1 extra bed, this spacious air-conditioned room offers pool and garden views. 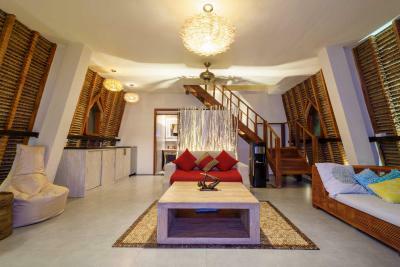 Featuring wooden flooring, the room is fitted with a flat-screen satellite TV, a personal safe and coffee/tea making facility. There is also a seating area and a refrigerator. En suite bathroom comes with a rainforest shower. Hairdryer is available upon request. 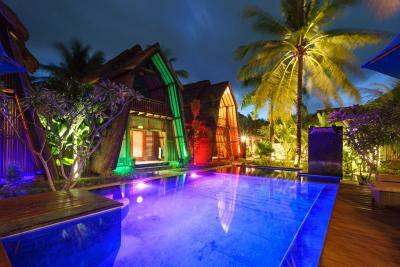 This spacious and luxurious two-bedroom villa boasts a private outdoor swimming pool. Each bedroom is air-conditioned and fitted with a fan, wardrobe, seating area, and an en suite bathroom with bath and shower facilities. The separate living area is fitted with Bose sound system, an iPod dock, all are controllable through an in-house iPad. There are also an outdoor dining area, and a bar overlooking the sunken fire pit. Hairdryer is available upon request. 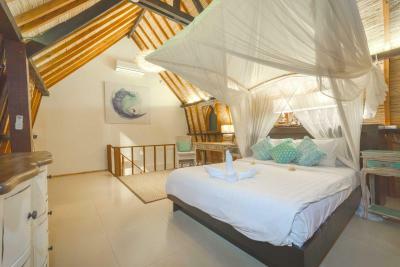 House rules Kies Villas Lombok takes special requests - add in the next step! All further adults are charged IDR 342500 per night for extra beds. Kies Villas Lombok accepts these cards and reserves the right to temporarily hold an amount prior to arrival. Bathroom was very dark and damp. Clean, comfortable atmosphere, our room was huge and very unique, friendly staff, and the location was not too far from the food and entertainment center. The bungalow only had 1 split AC unit upstairs. Could not compete with Lombok's heat and made sleeping well quite difficult. Ceiling fan and standing fan were almost useless. Great bungalow layout on intimate property. Internet in LOMBOK in general was disappointing. Had to go out to get online.Seems to be an island problem. Very warm downstairs in our bungalow, only a ceiling fan. The WiFi works very bad, especially from the room. A part from the banana pancakes the breakfast is not of the highest quality. Nothing. They may have give us a villa as they were empty. But they didnt. Price was halfed as there were less tourist. And because we did arrange room from booking earlier we paid 2 times more. Big room, a lot of space and very nicely decorated.